Most people have heard of it. Many have it in their kitchen but only few know what it actually is: Melamine. In this episode of our Kitchen Facelift ABC – M like Melamine we introduce you to “Melamine Faced Chipboard” or as most people know it Melamine. If you are wondering what melamine kitchen cabinets actually are made off read on. Melamine is a chemical substance that when combined with Formaldehyde makes a very sturdy resin used to produce high-pressure chipboards and laminates such as Formica. Your Cabinetmakers cuts the pre-finished board to shape and size and uses it to build furniture. He uses it in kitchen and laundry cabinetry, office desks, cupboards, for wardrobes and shelving. It is an easy product to work with when planning a Kitchen Facelift. The melamine boards come in a large number of plain colours as well as special finishes. They are strong, durable, resistant to heat, moisture, stains and dirt. This makes them a popular choice for kitchens, laundries and bathrooms. The greatest advantage of melamine cabinets is its affordability. Compared to solid wood cabinets with a very similar finish they are lots cheaper. The greatest disadvantage of melamine is that it is a bad choice for DIY jobs. The boards require professional equipment and knowledge for installation. Melamine boards chip easily. You need to handle them with extra care during installation and provide special supports to hold their weight. Be mindful if you plan your Kitchen Facelift and want to fix up your melamine cabinets yourself. If you are renovating your kitchen on a budget it will still pay to hire a specialist to repair, install or modify your melamine kitchen. The chips caused by ordinary saws or unprofessionally applied nails and screws are awful and hard to repair. More often than not the whole cabinet needs resurfacing – which is a time consuming and expensive procedure. However getting a melamine kitchen painted by a professional is a rather affordable and easy way to update your kitchen. Melamine doors don’t need to be stripped of broken layers. They don’t require labour-intense sanding back. As long as there is no significant water or heat damage to a cabinet door, the doors and drawer fronts can easily be taken off. When painted they look like new – which saves you time and money! How do you know if you have a melamine kitchen? Step one: melamine kitchen doors don’t peel. So if you have peeling kitchen doors, you have a vinyl kitchen not a melamine one. Step two: check the corners and edges of your cabinets. You should be able to tell whether it is melamine or vinyl. Melamine has glued on edge covers that are easily distinguished from vinyl. 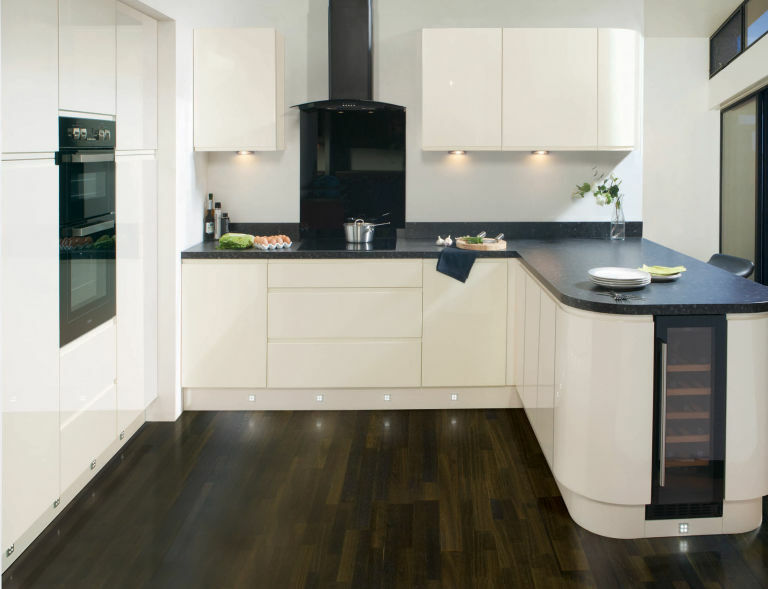 Step three: If you are still unsure about whether you have a melamine kitchen or not, simply give us a call. As a professional paint shop we will be able to tell the difference. Our experienced kitchen consultants will meet you in your home and work together with you on finding the best solution for you to make your cabinets look new again. If you are thinking of a Kitchen Facelift getting a melamine kitchen painted by a professional is a rather affordable and easy way to update your kitchen. Melamine doors don’t need to be stripped of broken layers. They don’t require labour-intense sanding back. As long as there is no significant water or heat damage to a cabinet door, the doors and drawer fronts can easily be taken off and painted to look like new – which saves you time and money! Hi I have a tassie oak kitchen that need a bit of refresh. Can you please advice what can be done to give it a new look.